Anna Sarkadi, Professor of Social Medicine at the Department of Public Health and Caring Sciences, has been granted NOK 8.6 million from the Kavlifonden foundation for her research project on mental ill-health among refugee minors – Teaching Recovery Techniques. In 2015, 35,369 unaccompanied minors came to Sweden and roughly the same number of minors came with their families. A study on the unaccompanied minors found that 76 percent of those examined displayed symptoms of post-traumatic stress disorder. Anna Sarkadi, Professor of Social Medicine. 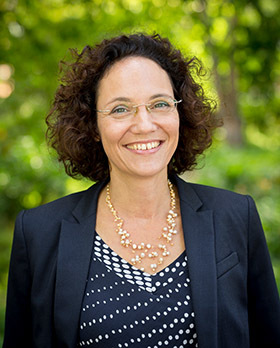 Anna Sarkadi, professor of social medicine at Uppsala University, then started up a project in collaboration with Bris (Children’s Rights in Society) based on the Teaching Recovery Techniques method in which a number of municipalities in Sweden educated group leaders in how to provide psychological support to unaccompanied minors. Now the Norwegian Kavlifonden is awarding NOK 8.6 million to Anna Sarkadi’s research team to develop their work further. “The grant is confirmation that we are on the right track in our efforts to conduct research on and develop systems to deal with refugee minors’ mental ill-health. We did not have much funding when we did our first study to test our concept on the most vulnerable minors, those who were unaccompanied. So when the call from Kavli was announced, we were ready to launch a more extensive study,” says Anna Sarkadi. Eight out of ten of the unaccompanied minors who have participated in the Teaching Recovery Techniques project displayed symptoms of moderate or severe depression right from the start. Of those, half had experienced suicidal thoughts. “There is a high risk of mental ill-health among unaccompanied minors and they need a lot of support. Civil society does a fantastic job when the authorities do not have enough resources but much more is needed. There is a mammoth job waiting to be done, namely to ensure that every child in Sweden has access to support and care and the situation is urgent,” said Anna Sarkadi last year in an article in Göteborgs-Posten. The Kavlifonden foundation is granting a total of NOK 17.6 million for research that can increase knowledge about the treatment of mental ill-health among children and adolescents. “This three-year grant will enable us to build sustainable systems so that refugee minors with traumatic experiences will have a chance to live a life that is free from mental ill-health,” says Anna Sarkadi.